For this new adventure, Fajardo chose the Spanish epic The Song of My Cid for his story and characters. He retells this ancient poem using a combination of dramatic scenes and comedic characters, along with plenty of action panels that keep the reader’s attention. The characters’ motives and personalities help the story along, whether they are seeking revenge or redemption. Even the brotherly banter between Beowulf and Grendel provides some dramatic action and a few comedic asides. 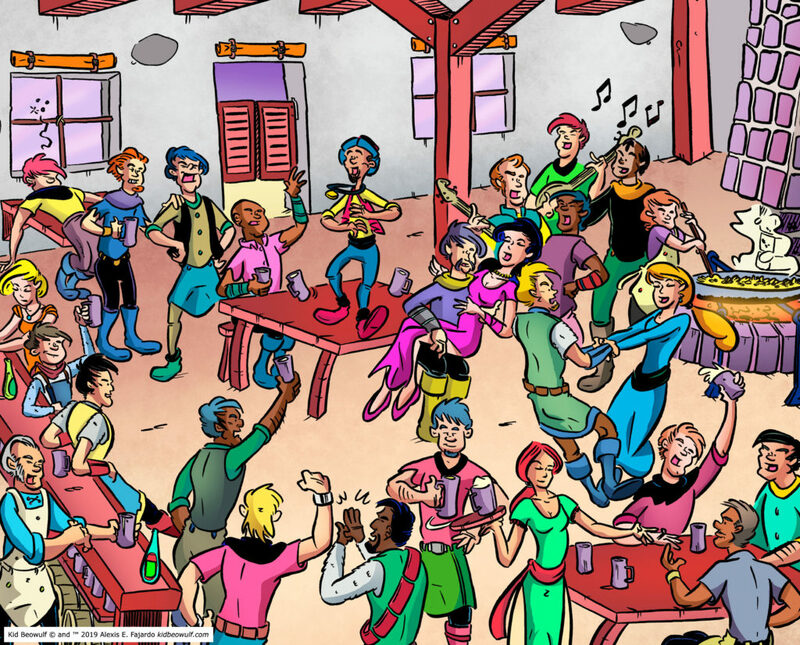 Fajardo continues to use his cartoon artistic style, with a vibrant color palette, unique character appearances, and comedic onomatopoeia. The crew of smart and engaged reviewers at No Flying No Tights really know their stuff so I was I excited (and relieved!) to read their glowing review of The Rise of El Cid. You can read the full review here.